She was a glamorous woman, no doubt: a lovely complexion, beautiful teeth, and full luscious hair; only it wasn't. Laura removed the wig shamefacedly to reveal shredded follicles and patches of bare raw scalp like a ravaged crop field. Her eyes welled up. "Can you believe," she said despairingly, "I've done this to myself! How self-destructive can you get? I feel ashamed and stupid. It's too disgusting, but sometimes I even eat the ends of my hair! If you've never done it yourself, it's hard to understand how good it can feel sometimes; but it's also horrible to see in the mirror what you've done to yourself. I'm an intelligent person; how can I stop doing this to myself?" Actually, Laura wasn't alone. 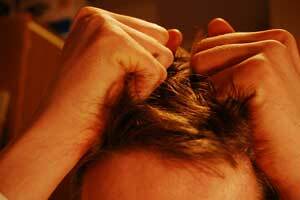 Hair pulling - also known as trichotillomania - is a private but widespread condition. But there are things you can do to help you stop pulling your hair out and feel healthy and attractive once more. Laura knew everything about hair pulling. She knew that trichotillomania is variously described as a habit, an addiction, even a facet of Obsessive Compulsive Disorder. She knew that it commonly starts in the teenage years (as it had for her) and that it's much more common than most people know (1). She told me she'd been so ashamed for the last twenty years that I was the first person she'd spoken with about it other than very close friends and family. I felt honoured. But it was time to get practical. The first step in stopping pulling out your own hair is to spot the danger times. What are your triggers? For Laura, stress was a major one: "Every time I have a row, or if I've had a bad day at work, it's as if I need the release of doing something destructive." Hair pulling can become addictive because of the natural pain-killing 'buzz' that any form of self-harm gives us; the body's natural morphine kicks in. Laura also said she'd do it in the evenings if she felt lonely or when she was on the phone to her mother, whom she sometimes found irritating. I got her to list all the typical trigger times. When do you pull your hair out? Make a list and next to each trigger, write down an alternative activity that would make you feel better in these contexts without having to resort to hair pulling. I asked Laura about times when she'd thought she might pull, but then hadn't. "Well, usually it's when I've suddenly become distracted by something else, then it's like the moment has passed and the urge has gone." Get into the habit of doing something else when you get the urge to pull hair out, such as going for a walk or typing on a keyboard (which of course usually requires both your hands). One hair puller I worked with was lucky enough to own a swimming pool and would get changed and swim every time she got the urge. Using distraction sounds so obvious, but what you are doing here is retraining the brain to the point where it starts to feel more natural not to pull in response to these trigger times. Of course, oftentimes people just find themselves pulling at their hair without having been aware of any trigger (although there is always one). Here's something that's going to sound crazy but (along with the hypnotic reinforcement work we did) really helped Laura. I asked her to purchase some of those athletic leg weights and put them around her hair-pulling arm. During 'danger times' – basically, when she was alone - she'd wear this weight on her arm. So, she could still pull, but only with the weight on. Now the focus became redirected into the effort of lifting her arm. She actually expressed concern that if she did carry on pulling, she'd develop a "horribly over-muscled right arm". Again, this dilutes the old impulse, adding another element that wasn't there before. After a few days of doing this, Laura felt the urge to pull (even when not wearing the weight) had diminished by around 85%. As Laura said, it seemed as if one part of her was working against her own best interests, and we all know how powerful the mind is. I used hypnosis with Laura to help her stop feeling like pulling. Consciously, she knew all the good reasons not to pull, but she needed to feel, not just think, differently about pulling her hair out. Close your eyes and get the feeling of being about to pull your hair. Now get the experience of floating out of that feeling to a sense of the time after you've pulled and feeling regretful that you did. Now drift out of that feeling to a time and place in your mind and visualize having all your hair healthily growing again. Or let me help you do this by clicking on the free audio download below. When you stop tormenting your own scalp and let it breathe and live, it will begin to heal. Take time to really think about how you're going to feel and look in the future once your own hair has been 'liberated' and had a chance to flourish. Take time every day to imagine how you're going to look, as this will form a strong 'blueprint' in your mind which will help you stop doing anything that will prevent this future from becoming reality. Two years later, Laura came to see me for another issue. "No," she said proudly, "this is the real deal." If you'd like some extra help around Stop Pulling Your Hair Out my company Uncommon Knowledge provides a huge library of hypnosis sessions through Hypnosis Downloads.com. 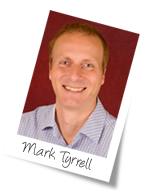 I have helped create all the sessions there and have listed related downloads below. Please let me know in the comments section below how you get on. Estimates of the number of people who pull their hair range from 1-3% up to 5% of the world's population, which equates to millions of people. See: "Entrez Gene: HOXB8 homeobox B8 [Homo sapiens]". National Center for Biotechnology Information. August 12, 2006.